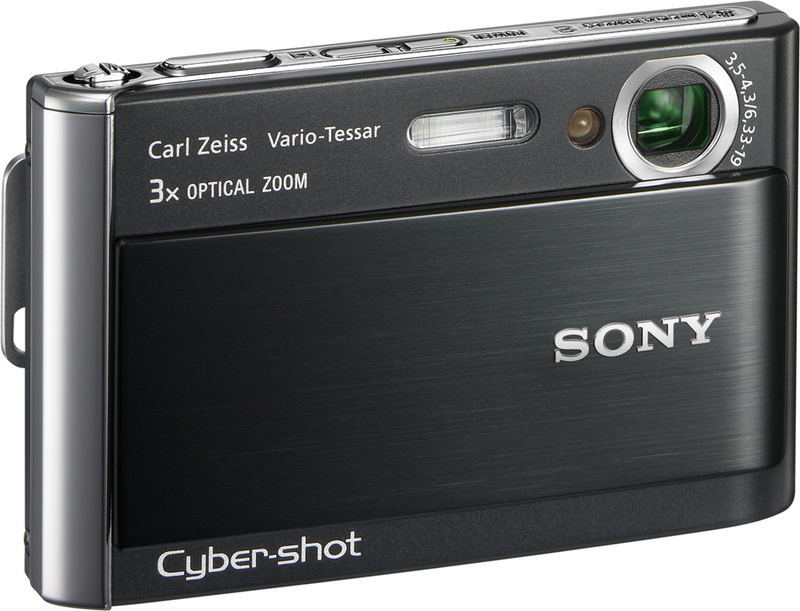 Sony has launched yet another two portable Cyber-Shot cameras, just about 5 months after launching their 2007 lineup. This year’s goal for Sony seems to be placing the largest and brightest LCD display humanly possible. Both models include the new features that were implemented into their lineup earlier this including: face tracking and output to 1080p HDTV sets. The DSC-T200 features a 8-megapixel camera, 3.5-inch LCD touch screen, and a 5x optical zoom, while the cheaper DSC-T70 sports a 8-megapixel camera, 3-inch LCD touch screen, and a 3x optical zoom. (T200 will be available in silver/black/red and the T70 in silver/black/white/pink) The set-up procedure and all options/settings are performed through the new touch screen. 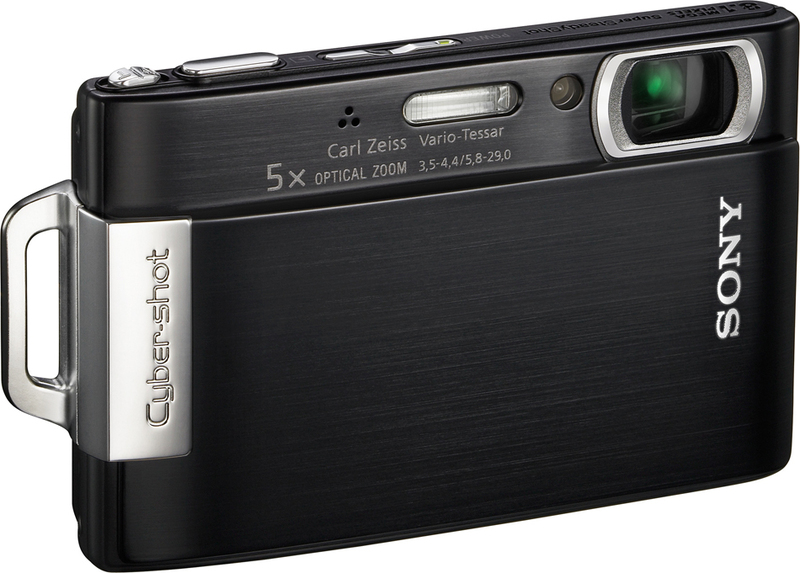 Other than the power and playback button, the only hard-keys remaining are the capture button and the zoom controls. Although it may seem neat to have such a large touch screen, it will for sure be very difficult to maintain as the display begins to collect dust and fingerprints. One of the best features implemented is face tracking, which automatically track faces and focuses the lens to right distance, when snapping an image. 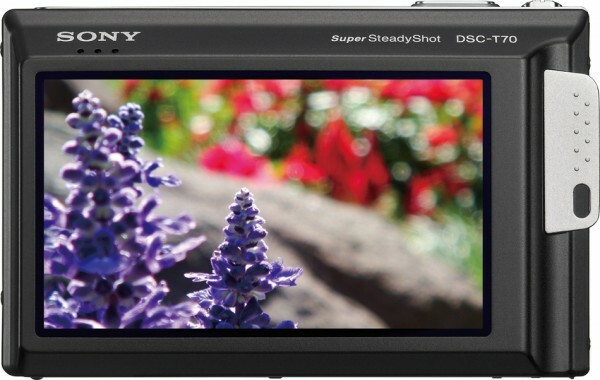 In addition Sony has added another technology called “smile shutter,” which automatically detects and captures an image as soon as everyone in the photo smiles! Although I haven’t yet tried the smile technology, I can testify that Sony’s face detection does indeed work amazingly well especially after taking a few hundred photos all of which were clear & crisp. These features are great for average consumers who want to quickly and easily snap photos without hassling through settings. If you do however want to take much higher quality images, you should consider purchasing a higher-end camera with manual settings. 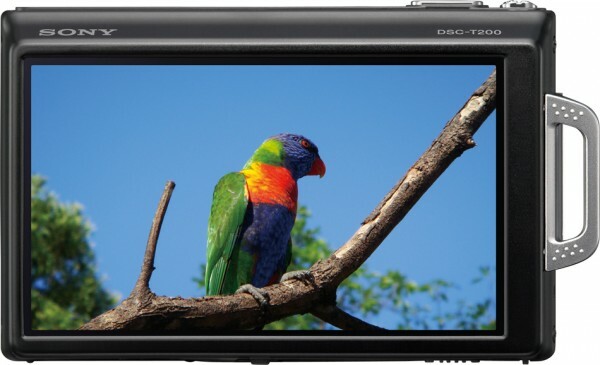 Anyways the DSC-T200 and DSC-T70 are available next month (September 07) with a price tag of $400 and $300, respectively. If you’re eager to get either camera as soon as it becomes available, Amazon is now taking pre-orders.